The King of Atlantis and his Queen will be treading the waters of the seven seas and stopping by nine kingdoms around the world for their global tour. And one of their stops will be here in Manila. 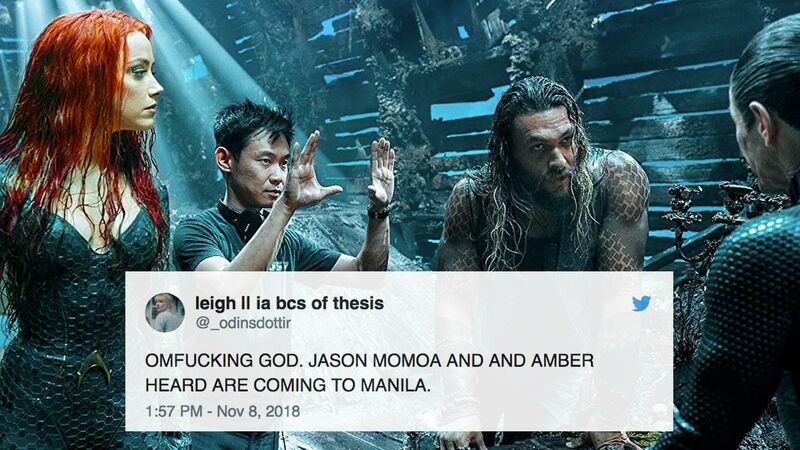 Yes, DC fans, Aquaman himself, Jason Momoa, his beloved Queen Mera, Amber Heard, together with director James Wan, will be heading here on December 11 to attend the Asian Premiere of Aquaman and participate at a Fan Event. And Pinoy fans of Momoa from his Game of Thrones days went on a frenzy on Twitter to show how excited they are to see the powerfully built Khal Drogo and his lavish long locks.